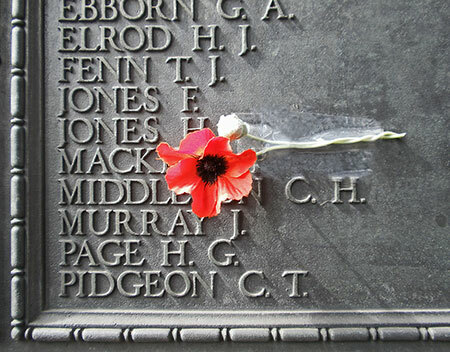 For families of British soldiers killed in the First World War, the question of how to remember the men they’d lost was a delicate one. Most died too young to have had much life to commemorate. In the years after the war, people in towns and villages across Great Britain erected public memorials to the local men who’d died. Many of the monuments list individual names, a gesture of remembrance that has since become a central convention of memorial art. But often soldiers’ families craved more personal tribute. Many of them privately published books—touchingly akin to scrapbooks—that tried to capture a fleeting life between covers for a small circle of friends and relations. “They’re extraordinarily miscellaneous volumes,” says Bette London, a professor of English. “They’re trying to produce something that will contain and sum up his life—but there’s not really enough life to do it. They might include a remembrance from a sibling, or the parents, or a friend. There are often extracts from letters he wrote as a schoolboy, or from the front. Or a poem he wrote to his mother when he was seven years old. 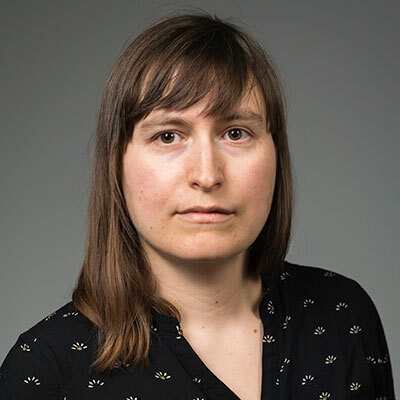 London scrutinizes the remembrance books in “Posthumous Lives: World War I and the Culture of Memory.” A scholarly book manuscript, it’s just one of many research projects on memory and forgetting that the Humanities Center is supporting this year. The center incubates interdisciplinary study of an annual theme—last year, environments, and next year, expertise and evidence—through public lectures, workshops, and a slate of fellowships for internal and external scholars at all professional ranks. Joan Rubin, the Dexter Perkins Professor in History and the Ani and Mark Gabrellian Director of the Humanities Center, calls promoting interdisciplinary research a foundational part of the center’s mission: “The exchange of ideas with faculty members who hold assumptions different from one’s own—who invoke theories, apply methods, or know about materials that put a researcher’s subject in a new light—is essential to insuring that a scholar’s contributions to knowledge remain fresh and original,” she says. The Humanities Center was created in 2015 to enhance the study of the humanities at Rochester and to strengthen ties to related disciplines. It offers a place to come together for students and faculty who want to exchange ideas, develop research questions and projects, and explore the application of technology to humanistic study. The center also brings together a number of longstanding humanities-centered programs at the University, including the Distinguished Visiting Humanist program, the Ferrari Humanities Symposia, the Central New York Humanities Corridor; and the Humanities Project, which supports lectures, workshops, and symposia throughout the academic year. With a permanent home in Rush Rhees Library, the center is at a crossroads of the River Campus. But it also makes its presence felt locally, through public lectures by prominent public intellectuals and collaborations with other area institutions. And its national fellowship program extends its influence well beyond Rochester’s borders. 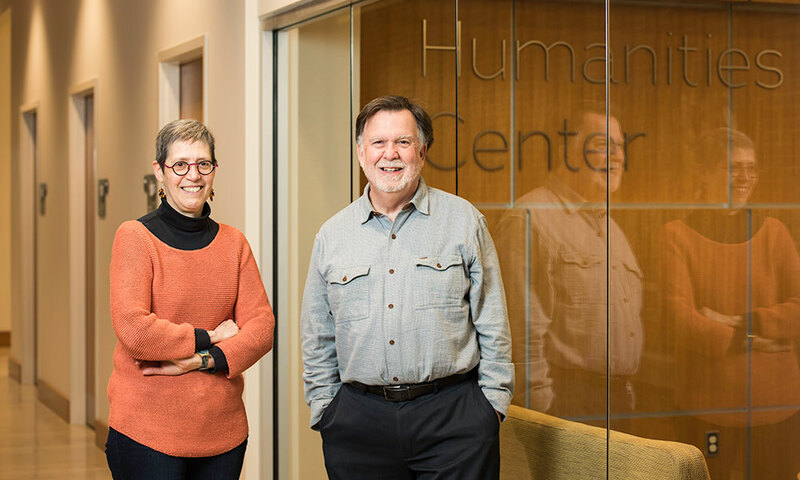 London holds one of two Bridging Fellowships at the Humanities Center this year, part of a University-wide program that supports faculty members in interdisciplinary study. Probing British national culture from a variety of angles in her research, she examines material culture, literary culture, history, and politics. She investigates the World War I poets’ hold on the British imagination; Virginia Woolf’s invention, in A Room of One’s Own, of William Shakespeare’s gifted, thwarted sister, “Judith Shakespeare”—an act of imagining that London reads as a “counter monument, if only an ephemeral one, to the memorials to the ‘glorious dead’”; and the official blotting from memory of the “shot at dawn” soldiers, executed for cowardice and other military offenses, and the recent, successful campaign to pardon them posthumously. The fellowship, she says, has been an opportunity to situate her project within the larger context of memory studies and to move beyond purely literary and historical perspectives to harness also the insights of musicology, visual studies, and political philosophy. “Being exposed to other disciplinary perspectives, and other theoretical work on the subject, expands the ways that I think about what I’m doing and think about the ways that my own work might speak to multiple audiences,” she says. Jonathan Baldo, this year’s other Bridging Fellow, is a professor of English at the Eastman School of Music. He has been investigating issues of remembering and forgetting in early modern England for almost 25 years. Over the course of that time, memory has changed from a relatively idiosyncratic interest to one widespread among early modern literature scholars, especially experts on Shakespeare. Baldo is the author of Memory in Shakespeare’s Histories: Stages of Forgetting in Early Modern England. (Routledge, 2012), and he’s particularly interested in how the Reformation’s upheavals affected memory in Shakespeare’s lifetime. Through his fellowship project— “Postmemory, Prosthetic Memory, and the English Reformation”—he seeks to introduce to Shakespeare studies two related concepts about memory. The first, coined by literary and gender studies scholar Marianne Hirsch, is “postmemory”—it refers to the experiences of people born a generation after a cultural trauma, who remember the events only through stories, images, and behaviors they encounter growing up. “Prosthetic memory,” a term invented by historian Alison Landsberg, also describes taking on memories of events one didn’t experience, but Landsberg focuses on how private memories of collective historical events can be created through encounters with mass products of mass culture, including books, movies, and—the height of popular culture in Shakespeare’s day—plays. With the support of his fellowship, Baldo is also developing a course for Eastman students on the literature of remembering and forgetting, an opportunity for them, as musicians, to consider how the arts and humanities are repositories for cultural memory and their potential also to offer alternatives to official accounts of history. “I think memory is one of those subjects that’s so fundamental,” he says. “Without it, we have no sense of identity, either personally or as a group, and you can come at it from so many angles. 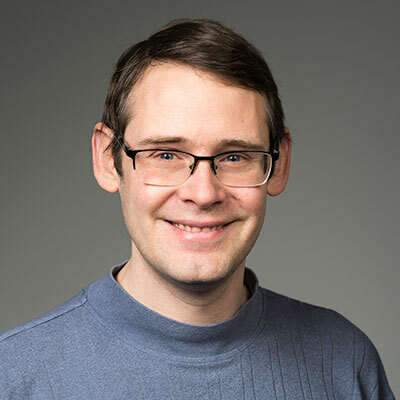 Dan Blim, an assistant professor of music at Denison University, is spending the academic year at the center researching the role of music in 21st-century acts of memorialization in the United States through 9/11 commemorative compositions, reissues of historical recordings, and museum soundscapes. Blim says he appreciates the opportunity that the fellowship provides to immerse himself in the project, and the resources of the University’s libraries, including Eastman’s renowned Sibley Music Library. But it’s the interactions with other scholars that he finds most valuable. 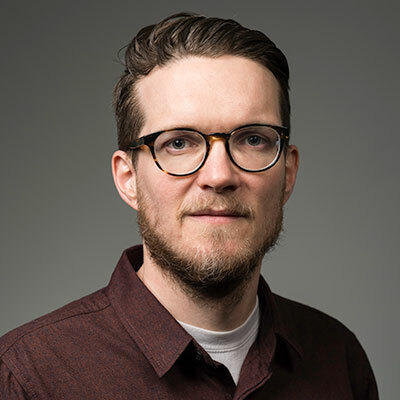 Ben Nienass, a political scientist on the faculty of Montclair State University, studies theoretical and political efforts to rethink collective memory in postnational constellations, specifically in the contexts of regional integration and migration. “As a political theorist, I aim to think through the political implications of specific memory practices and their impact on our ideas of belonging, citizenship, and political action. Presenting my work to colleagues from a wide spectrum of disciplines in the humanities has encouraged me to place these memory practices in much broader cultural, historical, and aesthetic developments,” he says, “often beyond their specific national contexts, and to think of them as modes of actions that are more than just political strategies. Evelyne LeBlanc-Roberge, an assistant professor of art and art history at Rochester, held a fellowship in the fall to support her multimedia work interpreting how people occupy physical space, with projects focused on waiting rooms—from doctors’ offices to airports—and on the experiences of people who have been incarcerated. She calls the center a “stimulating platform” to learn about research in multiple fields. “It fed my projects in invigorating ways,” she says. 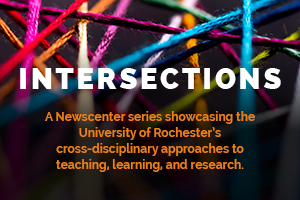 It also contributed to her participation in the Rochester Decarceration Research Initiative with colleagues in other fields—anthropology, English, and religious studies—and in the Warner School of Education and the School of Medicine and Dentistry.